Bring Christmas spirit back with your jolly smile and this Buddy the Elf Adult Mens Onesie. Made of 100% polyester, this soft, lightweight onesie features a front zipper closure and an attached hood. 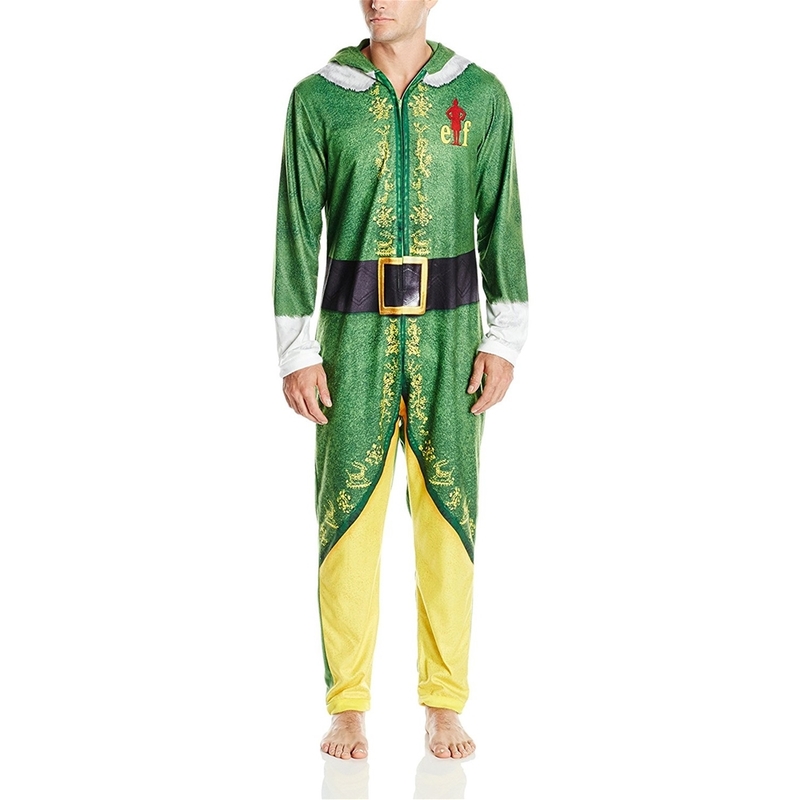 The adult onesie is printed with detailing to match the outfit worn by Buddy the Elf in the holiday movie Elf. The onesie features a printed green jacket with white cuffs and collar, a black belt, yellow leggings, and a pointed green hat. 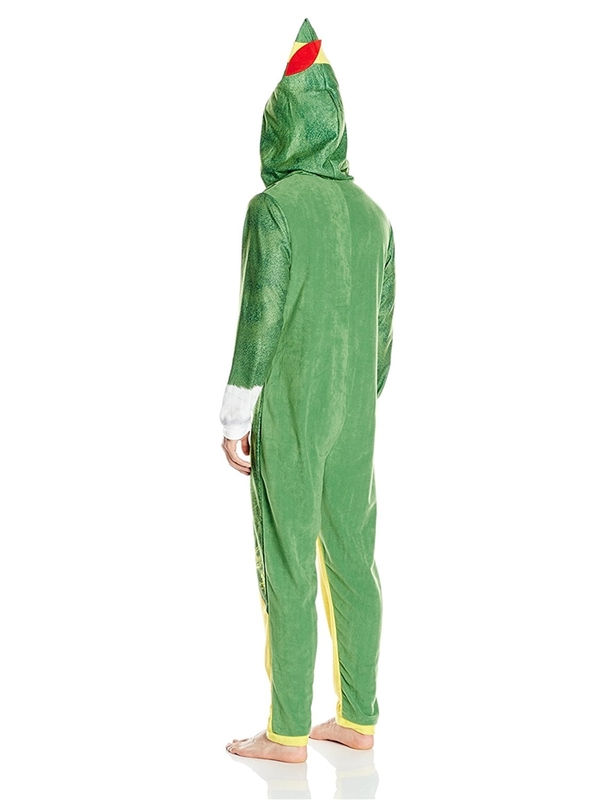 Fun for Halloween, Christmas, or everyday loungewear, dress up in Buddy the Elf onesie. Machine wash cold with similar colors, Do not bleach, Tumble dry low, Cool iron as needed.